Can I send purchase orders directly from LSP.expert to my suppliers? 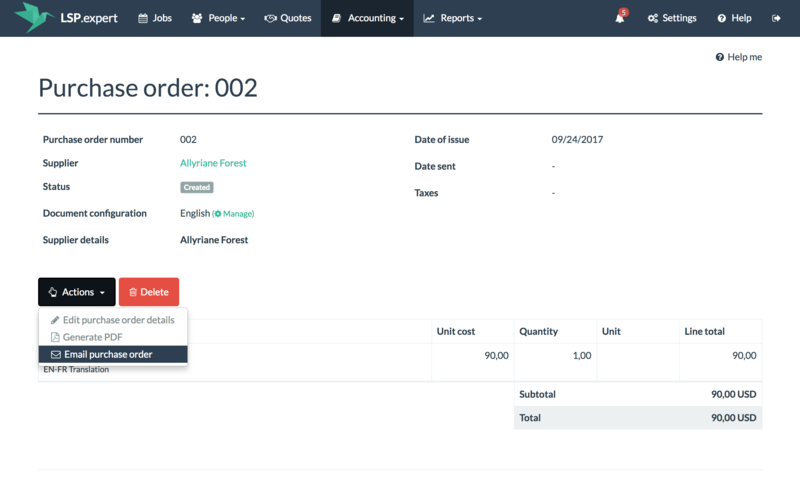 After having created a PO with LSP.expert, you can choose to send it directly to your supplier via our platform. 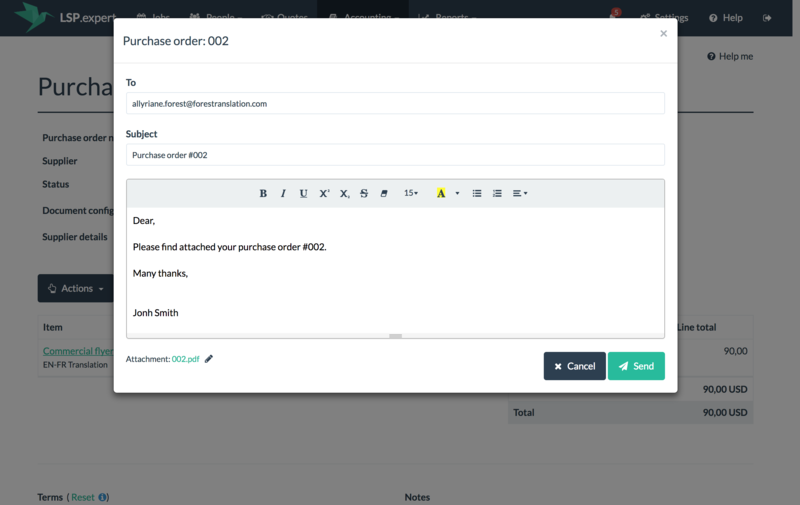 When you're in the PO, you first have to click on Actions > Email purchase order. You'll arrive in the sending screen. Here you can edit the text of the email if necessary. Then you click on Send.